LaserPro X380 Laser Machine for Cutting and Engraving fulfils the highest demands, LaserPro X Series stands for innovative design and high quality components. 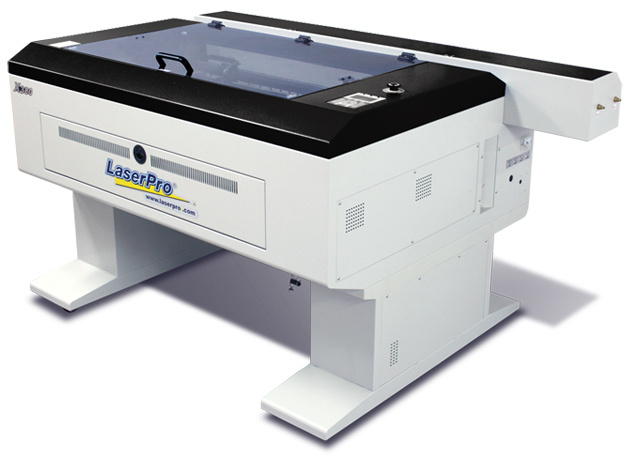 LaserPro X380 laser cutter is a economical alternative to laser cutting and engraving equipped with a high quality Glass CO2 laser tube. Water Chiller is included with this model. Designed for simplifying complex tasks, the LaserPro X380 user-friendly interface is a great facilitator to provide powerful function settings. The innovative design is composed of a ventilation box, a honeycomb table and rearrangeable magnetic supporting pieces. The SmartBOX™ provides great cutting quality and remarkably enhance air extraction. The LaserPro X380 utilises a high speed closed-loop DC servo motor for precise and fast carriage movement to ensure exceptionally accurate cutting outputs.